Tone Software, a global provider of VoIP Solutions and Unified Communications Solutions, has now had ReliaTel rated compliant with Avaya's IP Telephony solutions. Amit Kapoor, the director of strategic technology advancement for Tone, said: "ReliaTel enables enterprises, service providers and Value Added Resellers to effectively manage their converged communications service all the way from the SIP trunks entering the LAN to the softphones on the desktops." ReliaTel provides real time VoIP QoS and QoE end-to-end analysis including service level management for converged environments. It also offers trunk performance reporting for the Avaya Communications Manager through the SAT interface. It has now successfully been compliance-tested for compatibility with Avaya Aura Communication Manager 6.0. 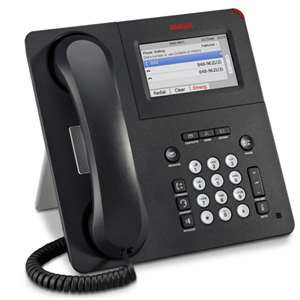 That ensures high VoIP calling quality and the ability to converge the network infrastructure. It is an invaluable tool for IT support teams. Tone Software is a Gold member of the Avaya DevConnect program which develops, markets and sells interoperable third-party. The idea behind the project is allow businesses to communicate more effectively. That fulfills strategic obejectives to increase investment and drive business success. Avaya is one of the most successful unified communications and VoIP solutions providers and delivers contact centers and data solutions worldwide. 0 Response to "Tone Software Compliant with Avaya Aura Communication Manager 6.0"